The Iraqi Golden Division, Iraq's Special Forces, was trained by the coalition after the Saddam era in 2003. The uniform here is a great example of what they wore early on during training and operations. 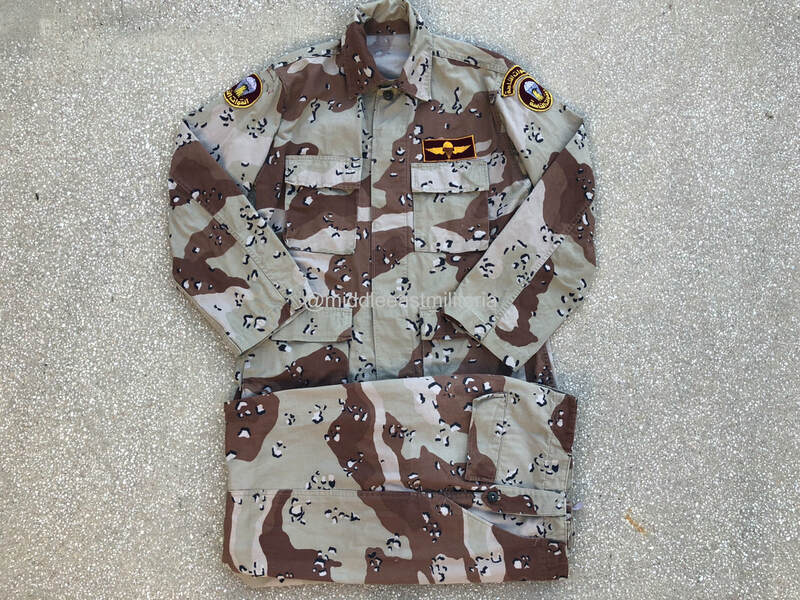 This uniform is a US made 6 color "Chocolate Chip" camo uniform set. It has been modified with large belt loops to accommodate a pistol belt and removed lower pants pockets. 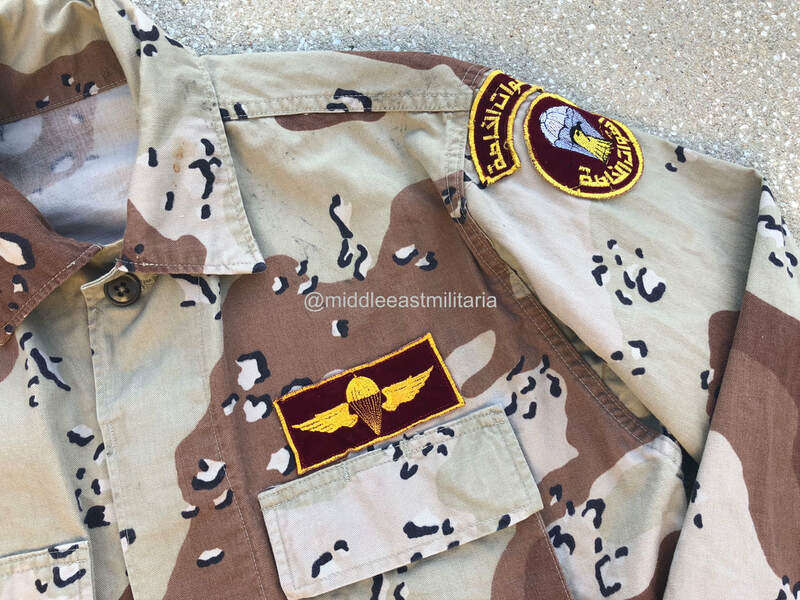 The patches are the felt version, and the whole uniform likely was used around 2008.